The most distinctive feature of Scotland’s history, nationally and internationally, is that of clanship. Although the clans are no longer the social force they once were, the continuing interest in them is testimony to the hold on the imagination that the sense of clan identity still has for very many people worldwide. In addition, an extensive collection of appendices draws together a wide range of information which has never before appeared in a single volume. 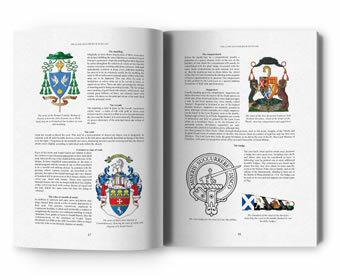 The Scottish Clan & Family Encyclopaedia has been compiled and edited by George Way of Plean, Falkland Pursuivant Extraordinary and the late Romilly Squire. In addition to their own extensive knowledge and research, they have overseen the work of a team of renowned specialists in Scottish history. 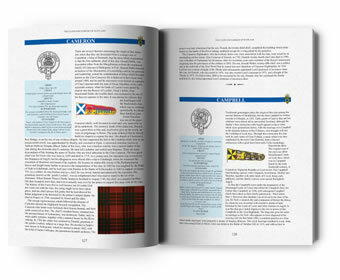 Revised and updated to reflect changes in clan society since its original publication in 1994, the Scottish Clan & Family Encyclopaedia is the definitive single-volume reference work on the Scottish clans and will appeal to everyone of Scottish ancestry throughout the world. The Scottish Clan & Family Encyclopaedia (Second Edition) was published 1998 and focused on 148 major names i.e. those with chiefs - all other names fell under ‘armigerous’ (a family name bearing heraldic arms but currently without a chief). The number of crests was limited to the 148 and because of the layout of the book text and appendices were limited. The second edition had only minor alterations from the first edition. In 2005 following a meeting between the authors and St Kilda a plan was drawn up for a new encyclopaedia which was envisaged would take around 3 years to complete. In outcome it has taken 12. With a new book layout the old 512 pages have only increased to 517 but the word count is up from 250,000 to over 800,000 and the additional substantial depth of detail has been achieved by, in addition to the authors' own research, the input and support from an academic team over the period who have scoured a myriad of original sources. All has had to be checked and cross referenced by the authors. Badge and shield and other heraldic illustrations have increased from 148 to over 350 and there are many other illustrations such as clan seats and castles. There is also a wealth of other family related images. There are completely new authoritative texts and appendices and there are no longer two sections but a single alphabetical run of the clan and family names. 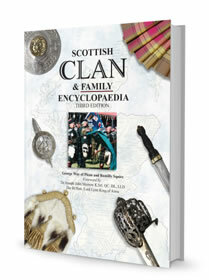 "I welcome the publication of the long-awaited Third Edition of the Clan and Family Encyclopaedia: a work that represents years of additional research and scholarship by a greatly enhanced and highly qualified editorial team. The introductory essays have been revised, updated and extended in scope and depth and the number of full entries has significantly increased. More coats of arms and crest badges have been illustrated than ever before."